All adoption fees, donations, gifts, contributions or sponsorships are tax-deductible. 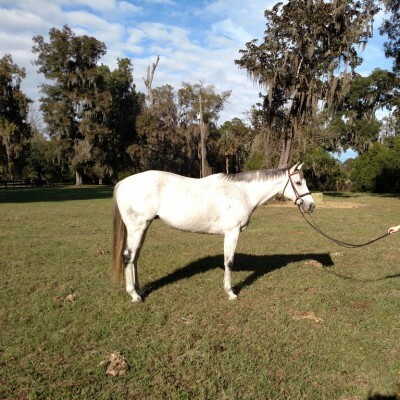 ​​​​​​​​​Kiss is a very fancy 6 year old mare who stands at 16.1 hands, sired by Kiss the Kid out of Came Through. She was raced a few times but was not fast enough to be competitive. Kiss is a quiet ride, not spooky, and seems to like having a job. This girl has the style and movement to be a fancy show hunter. She's an easy keeper, has good feet and clean legs. She recently started jumping and realy likes her new job. 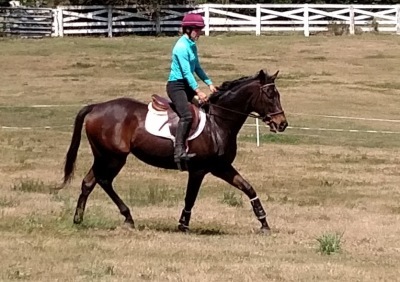 Wally by Mass Media, is a beautiful dark bay/brown, 15.2 hand, 10 year old gelding. 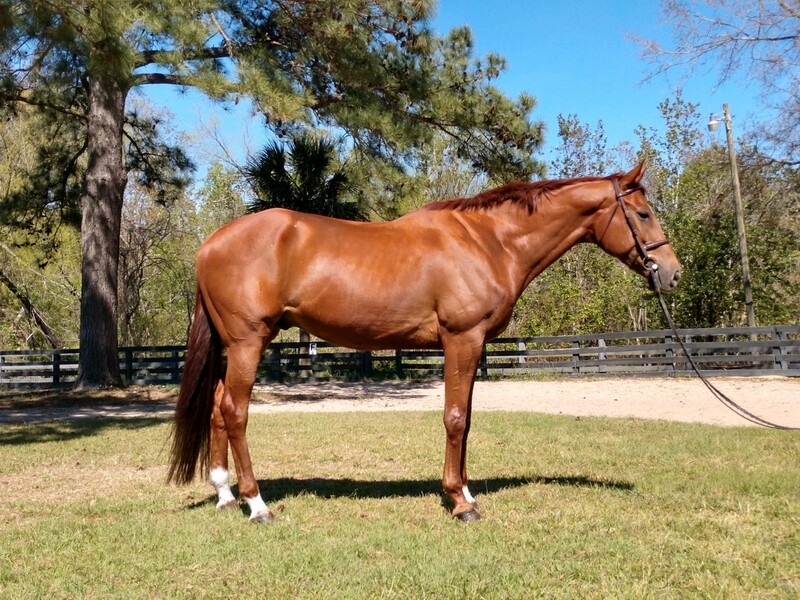 He raced 54 times and retired sound with clean legs and needed several months to relax. He had not been turned out in three years! 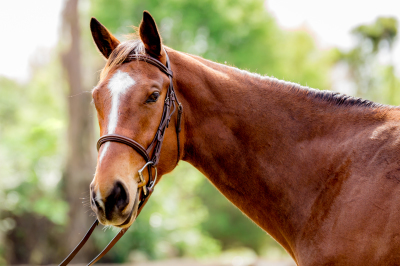 He has a shy but sweet temperament, but is not a horse for an inexperienced rider as he remembers his racing days and can get tense and "up", but when he relaxes and goes in a frame he is gorgeous. 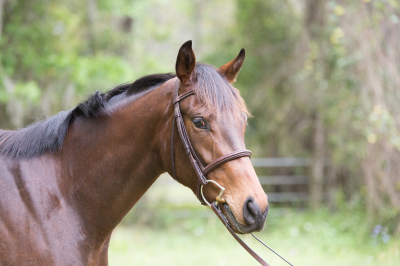 He is being ridden by a 12 year old girl who understands how he needs to be ridden. 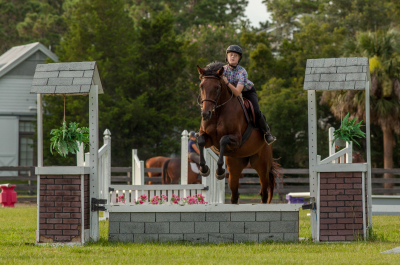 He recently started his new education and looks like he would be a good event horse, he is very brave to the jumps. He has a fancy trot the Dressage judges will like. 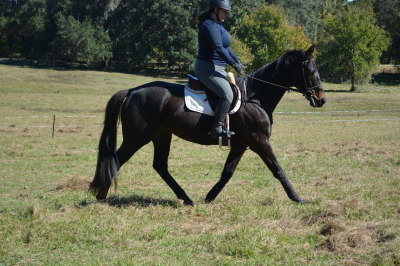 Wally is a good project for someone with experience riding OTTBS and who sees his potential. Price will increase as training progresses. 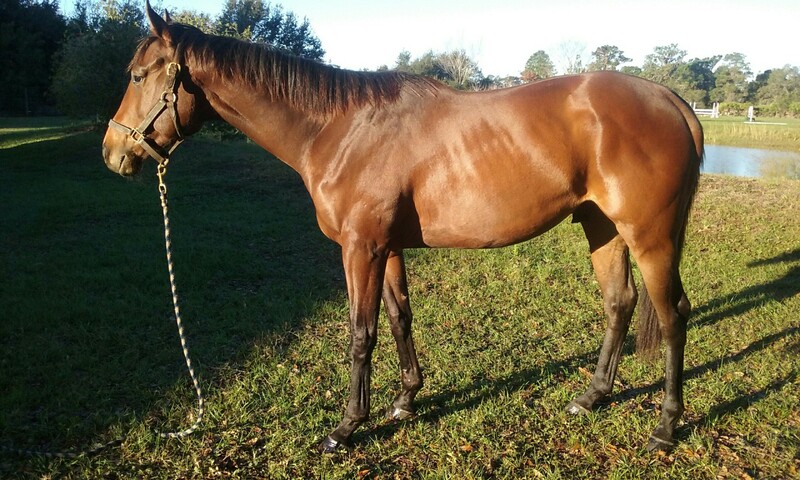 Vander is a 4 year old unraced attractive bay gelding who's 16.2+ hands and will mature to close to 17 hands. 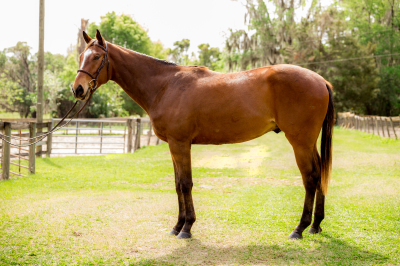 He is a well-balanced young horse, with smooth, comfrotable gaits. He moves like a fancy hunter but could probably be a Dressage prospect. He has just been started over jumps and is brave and honest. He enjoys working, learning, and trail riding. 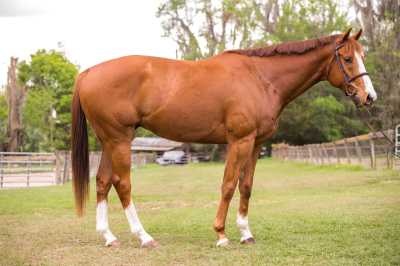 He has a puppy-dog personality-will make a great junior or amateur horse. 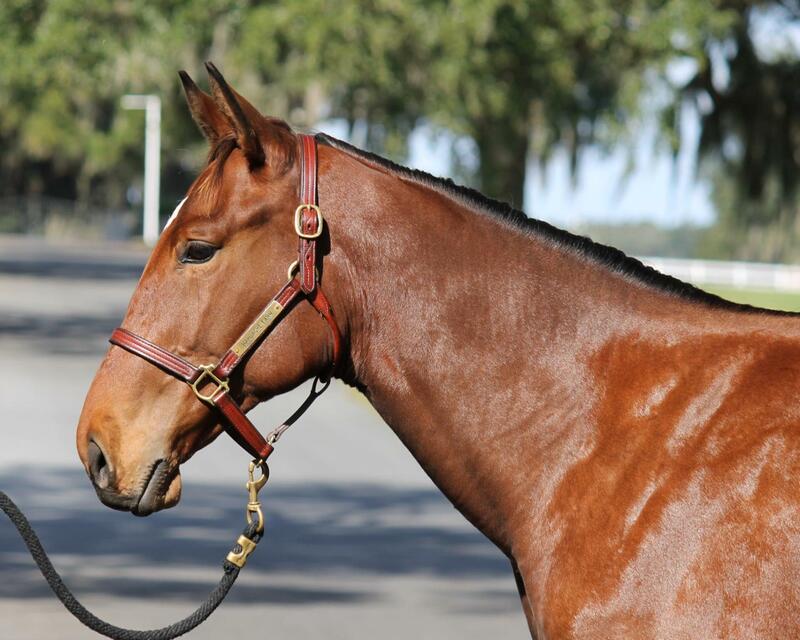 Fledge is an adorable 4 year old unraced filly at 15.3 hands and will mature to close to 16 hands. 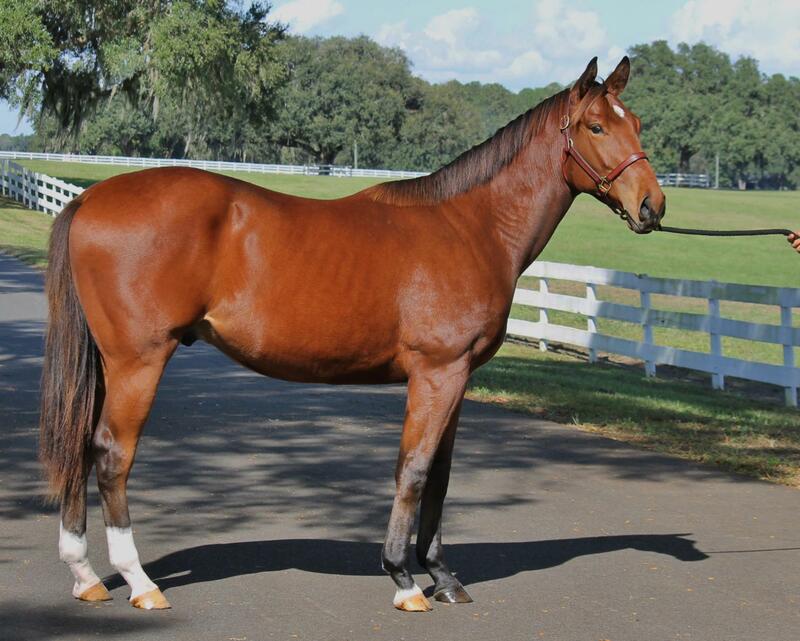 She is by Pleasant Strike and out of Red Mary. 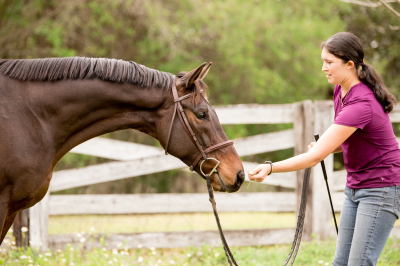 She has a great work ethic and is not at all mare-ish, she is super friendly and eager to please. She shows the potential to be a fancy Children's or Adult Hunter. Fledge is a pretty mover with a rhythmic canter and plenty of stride. 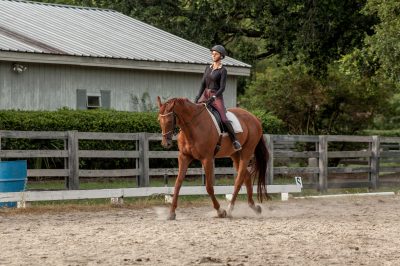 She is very well-balanced for a young horse and has super comfortable gaits. She is currently jumping 2'3" courses with flying changes. She is sound, in excellent health, has good feet and is an easy keeper, with a sweet disposition. ​Congratualtions to the Robertson family of Pickens, South Carolina on their adoption of this beautiful guy! 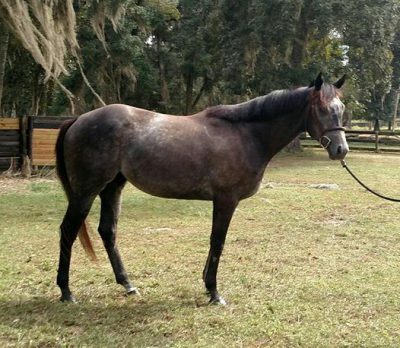 Van Lear Black (Van) is a 2010 gorgeous dappled grey gelding by the famous Tapit out of a stakes winning Storm Cat mare. Van is big boned, 16.2-1/2, looks like a warmblood. 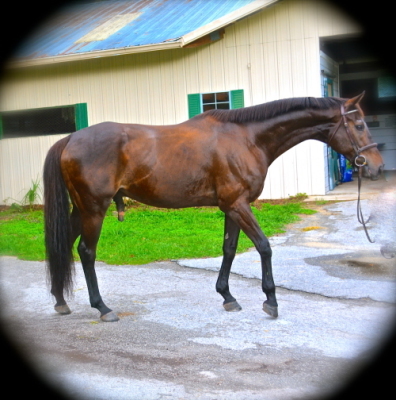 Van was a $340K weaning at Keeneland and showed no talent as a racehorse.Van has a big personality and knows he is gorgeous! He has anhydrosis and kissing spines. 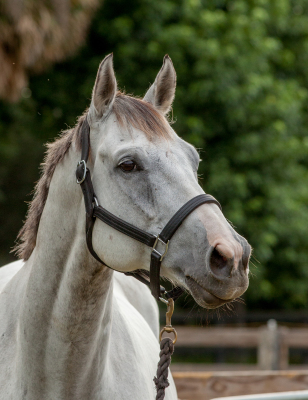 He is currently not rideable, which is sad because he was a natural at jumping and loved having a new job. He has been treated with chiropractic and acupuncture but it is clear his back hurts when being ridden. He is currently retired unless we can find a remedy for his kissing spines. 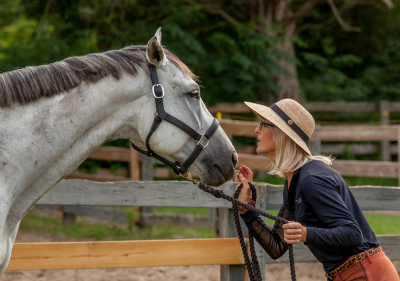 2004 Canadian Bred Mare, unfortunately was in a trailer accident and sustained serious neurological damage. 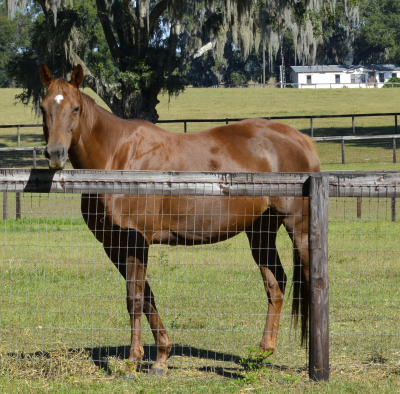 She is pasture sound and is a permanent retiree at SWTP. 2003 mare by Meadow Flight out of How Ya Binn. Leah was diagnosed with EPM in 2009 and treated but it took it's toll on her nervous sytem and she is severely atrophied in her hindquarters. Leah has a permanent home at SWTP.